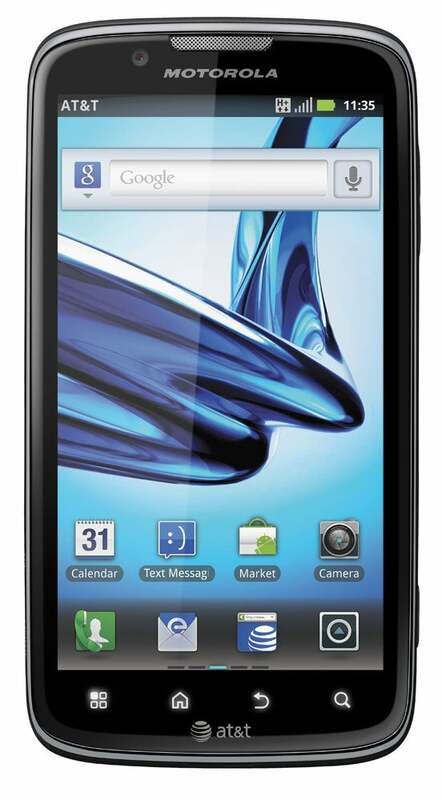 On the eve of the CTIA 2011 show in San Diego, AT&T announced its fall line-up of Android phones. The carrier did not announce any exact release dates for the phones nor did it reveal pricing. From looking at the specs, however, it seems that most of these phones will fall into the growing category of inexpensive Android phones. The one exception, however, is the $99 Motorola Atrix 2, which is obviously the follow up to the original Atrix. Like the original, the Atrix 2 has a dual-core processor and supports AT&T’s HSPA+ network. It has a slightly larger display at 4.3 inches (the original had a 4-inch display) with a higher, qHD 960-by-540 display. It also can capture 1080p HD video and, like the original, supports the Motorola Lapdock accessory. The Motorola Lapdock is essentially a laptop portal for your phone. The concept is interesting, but the Lapdock’s we’ve reviewed in the past haven’t been very comfortable to use. Remember the Samsung Captivate? It’s back, but now with a keyboard and HSPA+ support. The Samsung Captivate Glide runs Android 2.3, sports a 4-inch Super AMOLED display and is powered by an NVIDIA Tegra 2 1GHz processor. Also from Samsung is the DoubleTime, which oddly runs Android 2.2. With its pink and white color scheme and flip phone design, it seems like it is targeted toward younger users. In the past, Pantech has released mostly feature and messaging non-smartphones on AT&T. The Pantech Pocket not only runs Android 2.3, but also supports AT&T’s HSPA+ network. It also has a 4-inch display, a slim design and a 5-megapixel camera. Lastly, there’s AT&T’s second Android phone on its pre-paid service: the AT&T Avail. The ZTE-built phone runs Android 2.3, has a 5-megapixel camera and a 3.5-inch display. We’ll be getting our hands on most of these phones at the CTIA 2011 show here in San Diego so stay tuned for more photos and our first impressions.